New discoveries are being made daily in the field of genomics—the study of the genetic basis of disease and health—that have the potential to create new and effective treatments for many complex diseases plaguing both people and animals. Modern technology, for example, allows researchers to identify, or map, diseases to specific regions of chromosomes. Sequencing the specific genes in these regions can then help the scientist identify mutations that cause disease. These genomic investigations often begin with a pilot study to determine if a suggested hypothesis is correct, or perhaps, to collect specific data necessary for a longer term research effort. 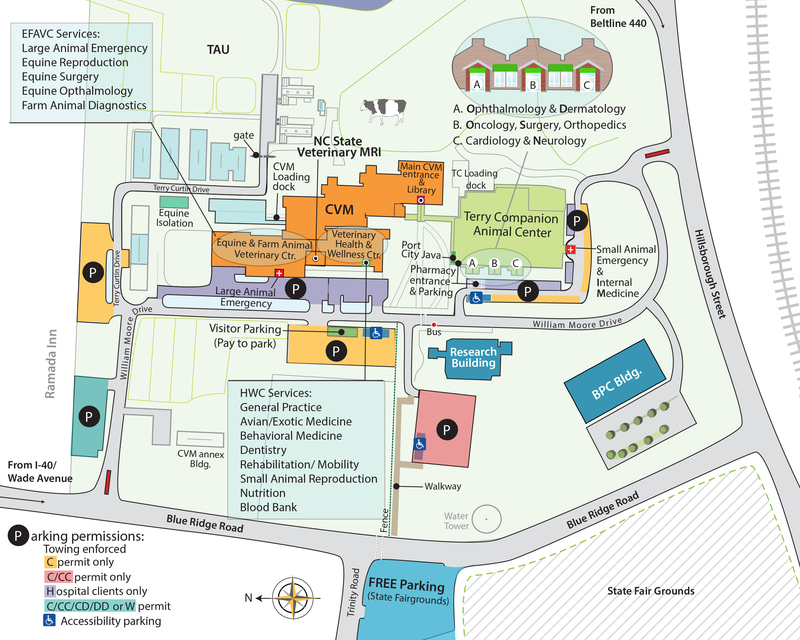 The Clinical Genomics Core at NC State University’s Center for Comparative Medicine and Translational Research (CCMTR) recently funded three such pilot projects to collect tissue samples for use in broader genetic studies of diverse health problems. One project involves Addison’s disease in Standard Poodles. Addison’s disease is an immune mediated disorder that destroys the adrenal gland in affected dogs. A second project is focused on corneal dystrophy in Boston Terriers—a condition in which the cornea becomes abnormal, causing blindness. The third project concerns the ability of newborn calves to absorb vital immunoglobulins, or antibodies, from their mothers’ milk. 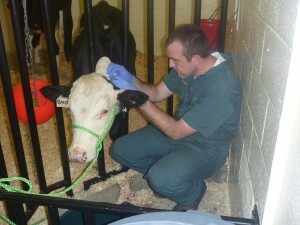 Derek Foster is the primary investigator of a bovine antibody pilot study that may have implications for human infants. The conditions under study in these projects also affect people and CCMTR scientists say understanding the genetic factors that influence these problems in animals may lead not only to disease prevention in animals through genetic testing prior to breeding, but also to the development of an effective treatment or cure of these conditions in both people and animals. “By understanding the genetic factors that influence how young calves absorb antibodies, we may be able to select for animals that absorb more antibodies that can protect them from disease, and thus promote better health early in their life,” says Derek Foster, an assistant professor of ruminant health and production medicine in the NC State College of Veterinary Medicine. The primary investigator of bovine antibody pilot study, Foster notes that the process in which human infants absorb vital antibodies during breast feeding is believed to be quite similar to that of newborn calves. With more than 70 poodles in her study, Kathy Lunn, an associate professor of small animal internal medicine, and her research colleagues hope to develop a more in-depth understanding of the genetics involved in the complex immune-mediated endocrine disease hypoadrenocorticism, or “Addison’s Disease,” in Standard Poodles. 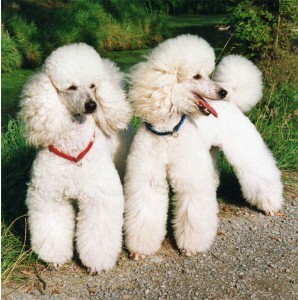 The disease in poodles is very similar to the endocrine disorder seen in people. CCMTR researchers hope to develop a more in-depth understanding of “Addison’s Disease” in Standard Poodles. “Through this study we will develop a greater knowledge of the genetics of both endocrine and immune-mediated disease in dogs,” says Lunn. “A more thorough understanding of the genetic defect will help us develop screening tests for a disease that, if not caught early, can cost owners thousands of dollars during a pet’s lifetime. Natasha Olby, Clinical Genomics Core Leader for the CCMTR and a professor of neurology, says pilot studies are the seeds that grow into fully fledged research projects for generations of discoveries that can help animals and mankind. According to CCMTR Director Jorge Piedrahita, this “One Medicine” concept—first proposed by 18th-Century scientist Rudolf Virchow who noted, “Between animal and human medicine there is no dividing line—nor should there be,”—is the foundation of the Clinical Genomics Core and the entire CCMTR. For more information about partnering with the CCMTR to support pilot studies in genetics, or other areas of interest, contact the CCMTR director, Dr. Jorge Piedrahita, Jorge_piedrahita@ncsu.edu or Julie Nettifee Osborne, registered veterinary technician, at janettif@ncsu.edu.